For more than 25 years, The Floorwise Group has been servicing the floor industry with a range of flooring products that help when laying a new surface or floor as well as real wood flooring. Products include floor adhesives, entrance matting, floor grippers, floor coverings, edging and trims, stair nosings, tapes, tools, underlay, screeds and membranes and much more. During this time we have grown from strength to strength becoming the largest independent distributors in Europe. We have gained an enviable reputation in not only providing quality and value products but also a providing a service that is second to none. Linked to our unique distribution network the group continues to grow giving each client an added value service. The Floorwise Group has a continuous development policy and as such we are constantly evolving ranges to keep pace with changing interior design styles and customer tastes whilst striving to satisfy the installation needs of professional fitters and contractors. All of our distribution outlets throughout the UK stock a complete range of floor laying materials and accessories and are fully able to offer expert advice on floor installation. 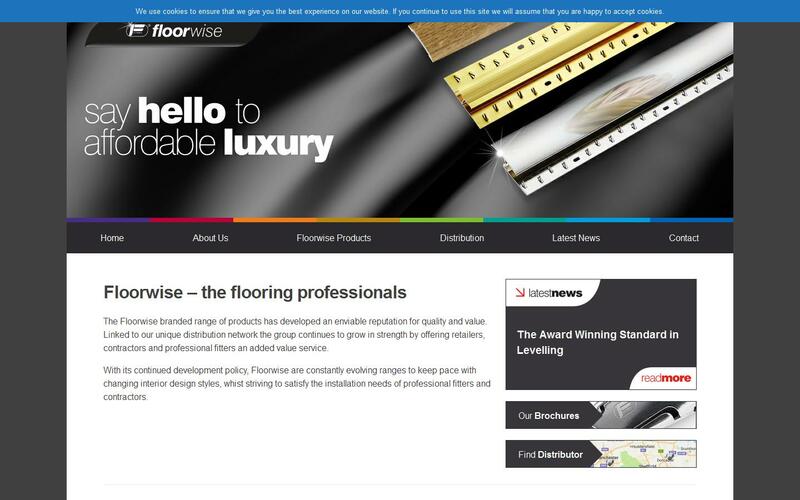 For more information on any of our products or services or to contact one of our distributors please visit The Floorwise Group website, alternatively give our experienced and dedicated floor specialists a call who will be able to advice on the best solutions for your project.